Many will be familiar with the work of the psychologist Abraham Maslow. He noticed that as individuals move towards the ‘goal’ of self-actualisation or potential, they required the respect i.e. positive recognition, of others. 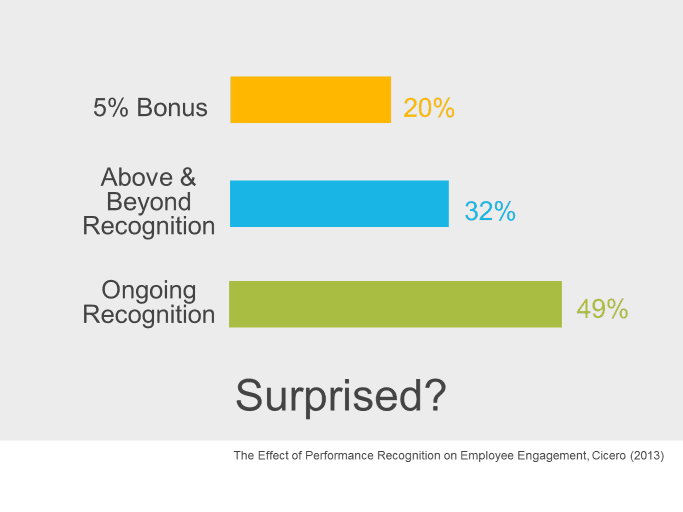 When someone receives recognition they grow – and here’s the bonus, so do their colleagues, because they witness the other’s growth. But how do contemporary organisations benefit from Maslow’s work? Social recognition as a general concept utilises Maslow’s understanding. Social recognition involves the public acknowledgement of an individual/team for a specific reason related to an organisation’s values. While the public nature of individual social recognition benefits the receiver directly it also has a positive effect on work colleagues who witness the moment of recognition. In turn, it also benefits the wider community as the values an organisation wants to recognise are highlighted to others. But does evidence exist to support the benefits of social recognition? When ongoing recognition is coupled with the power of social media a formidable recognition tool is forged. It’s called social recognition. This can be used by an organisation to engage employees, utilising the familiar infrastructure of social media. This is especially effective when engaging with Gen Y in the workplace. The workforce ranges in age from those fresh out of school to those about to retire. The Baby Boomers made way for Generation X, who are making way for Generation Y (Gen Y), who will comprise 50% of the workforce by 2020 (J. Meister, 2012). They are digital natives, born with a mobile device in each hand – their idea of a balanced diet. They are social, connected and transient. Gen Y expects instant access, sincere recognition and instant feedback. When social recognition utilises the best features of social media Gen Y can be recognised quickly and efficiently. But what guides the use and implementation of social recognition? As company values are so important to organisational success, they need to be understood by all members of an organisation. Research by Charles Galunic and colleagues on Fortune 100 companies shows that unique value sets shape a unique organisational culture, assisting it to outperform its rivals. However, even successful values are not static: the successful organisation revisits them, encouraging a dialogue around identity, culture and business direction. A value-centred social recognition tool built around a set of dynamic values can acknowledge and reward employees for demonstrating these values. In turn, the process of social recognition helps to build an organisational culture that goes the extra mile, for colleagues and customers alike. 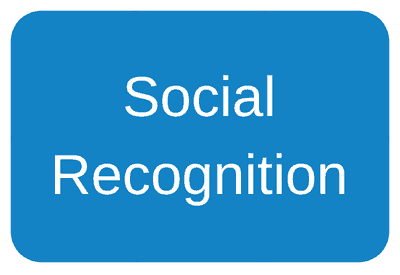 Social recognition is leading the way because it can present an organisation’s values in an intelligible manner. In turn, this supports the building of a more cohesive culture, which leads to greater discretionary effort and improved profitability. Social recognition is particularly suitable as a means to engage Gen Y employees who will come to dominate the workforce by 2020. The bottom line? Social recognition can help to build a profitable organisation, which is also a great place to work. Karsten Jonsen, Charles Galunic, John Weeks and Tania Braga, ‘Evaluating espoused values: Does articulating values pay off?’ in: European Management Journal, 2015 doi:10.1016/j.emj.2015.03.005.